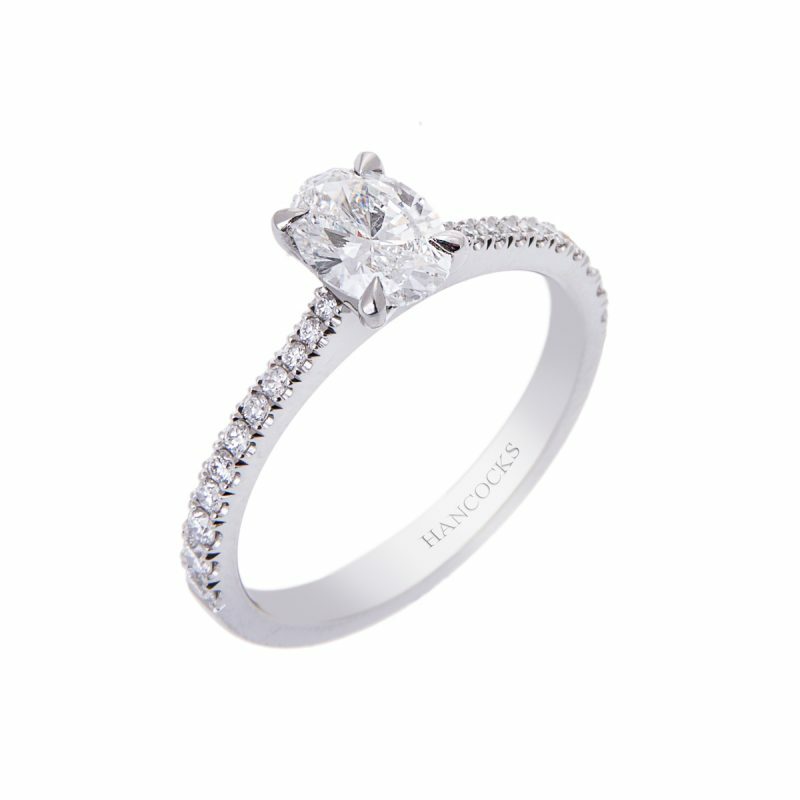 The 1.51ct radiant cut can add unique twist to a classic solitaire engagement ring. 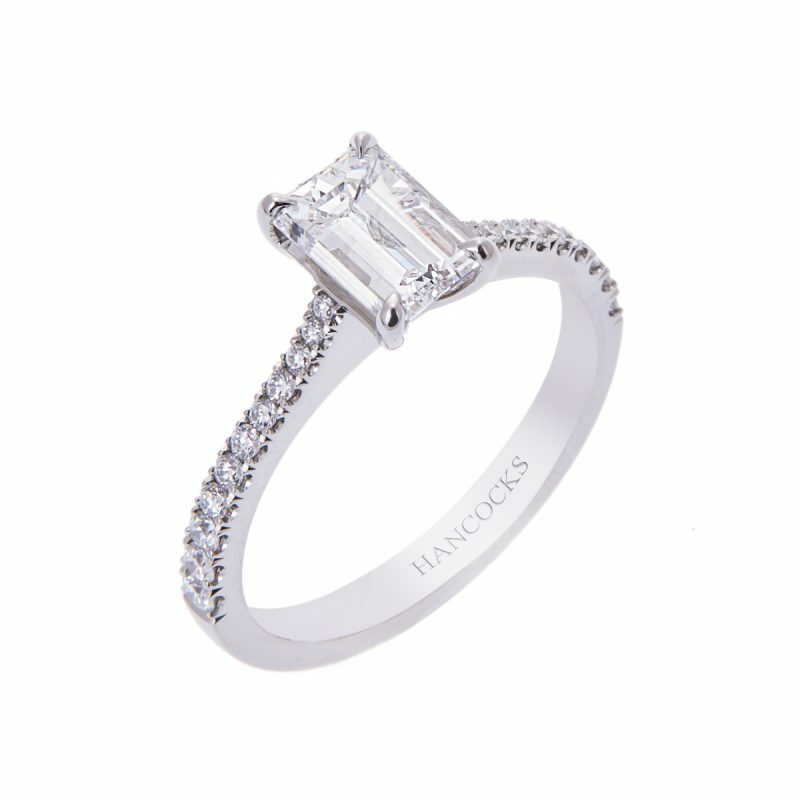 It combines the elegance of an emerald cut with the brilliance of a round brilliant cut to create a diamond that has maximum brilliance and a fantastic kaleidoscopic fire. 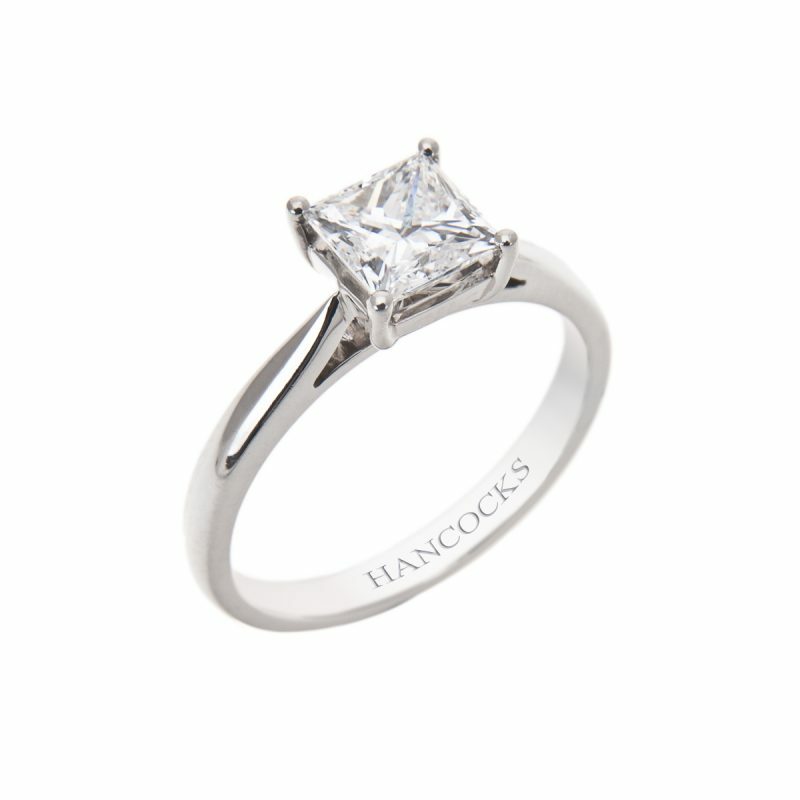 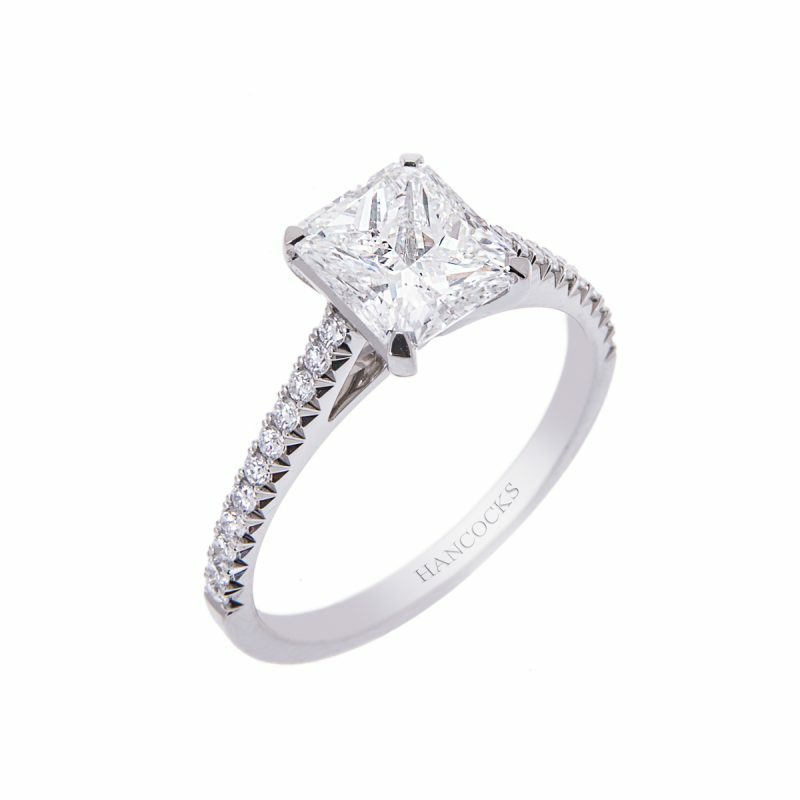 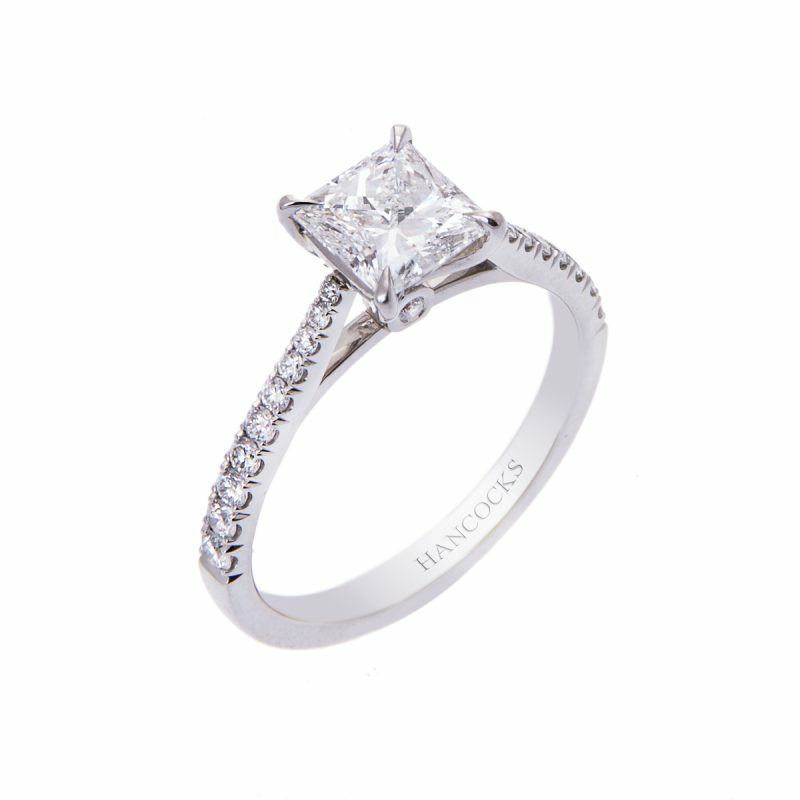 Hancocks have chosen to mount this Certificated D colour radiant cut in a classic platinum 4-claw setting with exquisite fine brilliant cut diamond shoulders totalling 0.22ct, making it a dazzling gift for someone special.